Samantha graduated from Dartmouth College with a BA in Psychological and Brain Sciences. She was a four year member of and captained the womens' basketball team. Samantha holds an M.S. and a C.A.G.S in Educational Psychology from Northeastern University and formerly worked as a Psychologist in the Boston and Newton Public School systems. Samantha also holds an M.S. in Broadcast and Digital Journalism from the S.I. Newhouse School of Public Communications at Syracuse University and has worked as an on air host and color commentator for ESPN, SNY, and Time Warner Cable Sports networks. 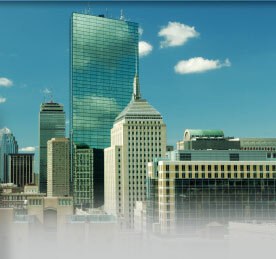 Samantha has over a decade of sales experience in real estate related functions in New England. She was VP of New England business development for a national commercial and residential title insurance and settlement company. Most recently she worked in the mortgage insurance industry and has expertise in mortgage finance, including broad knowledge of an array of home loan products, including low down payment mortgage products for conventional, jumbo and super jumbo loan amounts. Samantha currently resides in Beacon Hill but has also called the North End and the Charlestown Navy Yard home. She is an avid traveler and participated this past fall in a co-working retreat in Medellin, Colombia. In addition to travel, Samantha's other hobbies include photography, architecture, exploring Boston's restaurant scene, and boxing (she has a 1-0 amateur record).